MNA – The news that Germany, France & UK are actively considering a “Clearing House” to facilitate Iran’s global commerce is probably the most important development in financial & energy markets for many years. According to weekly Der Spiegel and business daily Handelsblatt reports quoted by international news media on 15 September 2018, the three countries could set up a “Special Purpose Vehicle” (SPV) — a firm resembling a “clearing house” that would cut their Iranian business partners out of the financial loop while still allowing business and trade as usual. Italy is reportedly also is interested in participating. 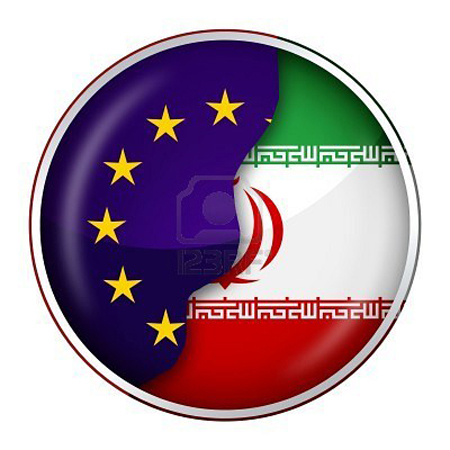 AFP has quoted an official from the German economy and finance ministries as saying that the scheme is one of several options that EU capitals are discussing with the European Commission to create “independent payment channels” for doing business and trade with Iran. European Commission spokeswoman Maja Kocijancic has said that Brussels wants “to make sure the effects of the sanctions are minimized for companies that want to do legitimate business with and in Iran and they can still have access to necessary finance,” adding that “currently the work is ongoing”. While Berlin, London and Paris are driving the scheme, Der Spiegel reported that if it is implemented it would be open to other EU member states. For example, Iran could ship oil to Spanish, Greek or any other EU countries’ firms, accumulating € credits that could be used to pay for EU goods and services exported to Iran. That is to say without any need for US dollar involvement. This Bourse was the outcome of cooperation between Iranian ministries, the Iran Mercantile Exchange and other state and private institutions in 2005. It was intended as a bourse for petroleum products, petrochemicals and natural gas in various currencies beyond the United States dollar, primarily the euro and Iranian rial and a basket of other major (non-US) currencies. Chris Cook is a leading global expert in the legal design of markets and financial instruments. He was responsible for the legal design of the IPE’s UK natural gas Balancing Point futures market that launched in 1995. He originated the 2001 proposal letter dated 25 June 2001 and sent to the Dr. Nourbakhsh and he architected the 2004 Kish Island Oil Bourse Energy Fintech proposal. I asked Mr. Cook how the ECO – which clearly has no nationality – could be implemented in Iran and beyond. This seems to me a completely sensible domestic approach to energy policy which could quite possibly attract and mobilise the enormous amount of ‘dark money’ sitting in gold, dollars and Euros throughout Iran into investment via Energy Loans in energy infrastructure which offers an energy return. I reminded Mr. Cook we had discussed this in the Greek context at the Delphi Economic Forum earlier this year, as well as writing articles also published by Tehran Times, but it was possible certain business groups in Iran resisted the concept because they were reluctant to introduce more transparency. He agreed that was a possibility, and said: “Indeed so. But please consider the fact that if Hellenic Petroleum, which is a major regional supplier of oil products, were to enter into oil for product swap with Iran, then Hellenic’s “Energy Credit Obligation” -ECOs would probably be acceptable to businesses throughout the region eager to supply goods and services to Iran. I could also imagine this would work well with the Saras refinery in Sardinia which is well placed to supply product throughout the Mediterranean”. To conclude, in my view, Mr. Cook’s “Energy Credit Obligation” (ECO) proposal potentially offers Iran the opportunity to be pro-active and take the lead through an international initiative based upon energy diplomacy. In this way, Iran could introduce an Energy First doctrine based upon energy economics, rather than the current choice between US First and EU First, and between Dollar or Euro economics.